The projects aim to re-create the most significant military aircraft to have been used in the Midlands. 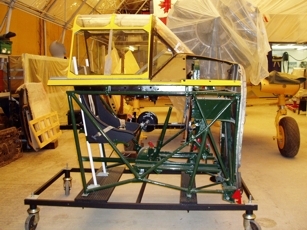 Cockpits, fuselages or complete airframes are being reconstructed, to show the environment that each crew member worked in and the equipment at their disposal. The final exhibits will help to put the crash site displays into context and will commemorate the bravery of the men who flew the machines. The project aircraft are all very rare and were difficult to find. Parts and equipment are still being found for all of them and any help will be appreciated. This bomber was found buried in a beach on the Isle of Lewis and salvaged in 2002 - the culmination of 5 years of work and planning. It is the sole surviving Mk IV - the fastest of all the Wellingtons, with Pratt & Whitney Twin Wasp engines. Built at Chester (Hawarden) in 1941, Z1206 flew 14 operational sorties with 142 (City of Worcester) Squadron. Coded QT-F (F for Freddie), it was based at Binbrook and Waltham (Grimsby) in Lincolnshire. Its operational history is being researched and we welcome contact from the families of the men of 142 Squadron. There are very few photographs of the Wellington IVs of 142 Squadron and we'd like to hear from anyone who has seen any. The history of 142 Squadron will be added to the website and the squadron's Wellington losses are now on-line. By 1943, Z1206 was with 104 Operational Training Unit at Nutts Corner, Northern Ireland. Its history as a trainer is being researched and we welcome contact from families of the men of 104 OTU. On 26th January 1944, Z1206 was ditched at Uig Bay, Isle of Lewis. It was washed up onto the sand and then lay buried for over 50 years. There are no known photographs of the Wellingtons of 104 OTU and we'd like to hear from anyone who has seen any. The front fuselage of the Wellington is being conserved and will be rebuilt for display. Some parts and original equipment are still needed, especially a few instruments, crew seats, control column top and yoke and an astrodome (see the help page). A De Havilland built Oxford I was salvaged in Canada in 1994. It is now believed to be AT605, built in England in 1941 and shipped to Canada, where it joined 36 Service Flying Training School at Penhold, Alberta. This was an RAF unit, part of the Commonwealth Air Training Plan. From October 1941 until May 1943 it was a standard multi-engine pilot trainer. Hundreds of pupils learnt their trade in her and most moved on to Bomber Command. It became time-expired and was refurbished at Aircraft Repair Ltd in Edmonton before returning to Penhold. By autumn 1943 a beam approach flight was forming and AT605 was fitted with SBA equipment. Still with 36 SFTS, it flew in this configuration until the unit closed in October 1944, when it was flown to Swift Current for storage and disposal. Its flight history is being researched and we welcome contact from the families of the men of 36 SFTS. We are particularly keen to copy photographs and log books relevant to 36 SFTS Penhold. The entire wooden airframe of the Oxford is due to be rebuilt. 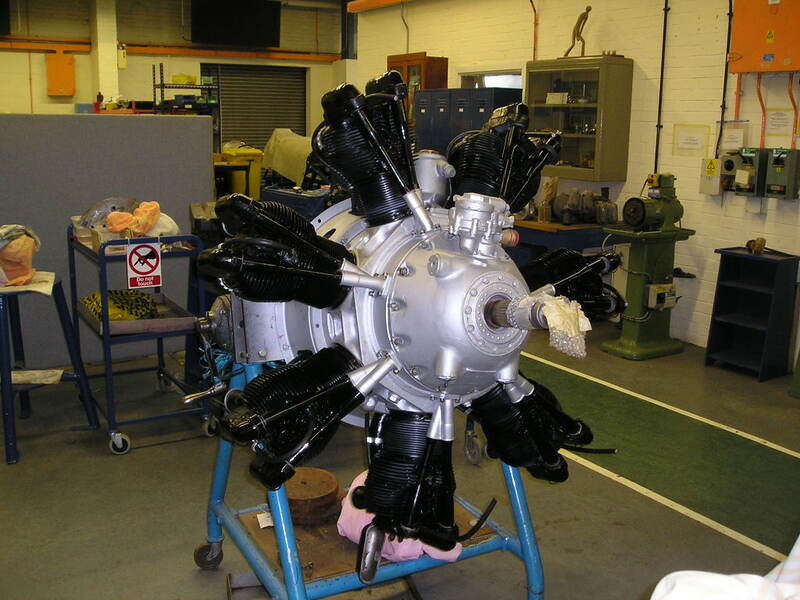 The Rolls-Royce Heritage Trust has expertly restored the first engine for the Oxford, at Ansty. This is now on loan to the Wartime Aircraft Recovery Group and can be seen displayed in the group's museum at Sleap in Shropshire. Whitleys were built at Baginton, Coventry and a specialised Whitley Operational Training Unit flew them in Warwickshire and Worcestershire from 1942 to 1944. No complete examples survive. The centre section of Midlands-based BD232 was recovered from a mountain in Snowdonia in the 1980s. More recently, a wing, centre section and fragments of nose from N1498 were salvaged from a mountain near Inverness. We don't yet have enough structure to start a rebuild project, but components are being acquired and the goal is to rebuild a nose section. Most parts and original equipment are still needed, especially parts of the front turret, some instruments, seats, control columns and yokes, rudder pedals and throttle box (see the help page). 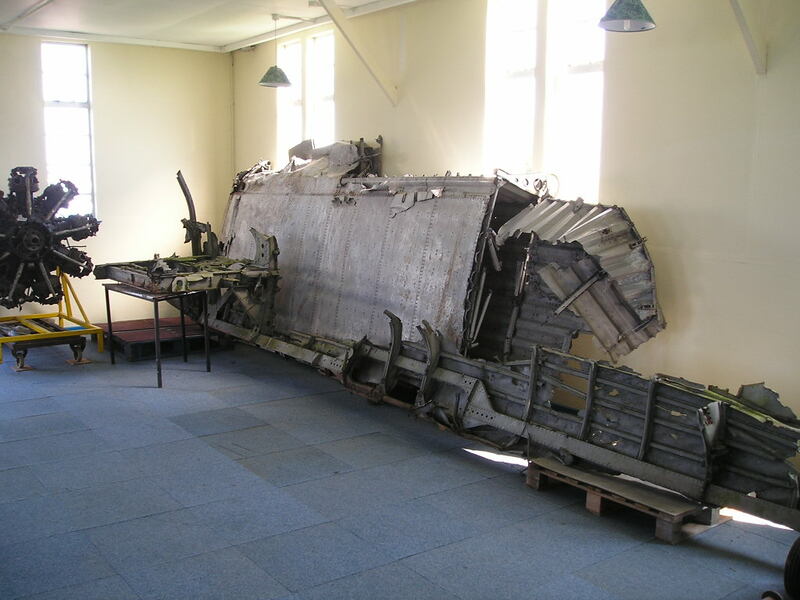 The centre section from BD232 and the port wing from EB384, which was salvaged from Glen Esk in Scotland, are now on loan to the Wartime Aircraft Recovery Group. They can be seen displayed in the group's museum at Sleap in Shropshire. Our Harvard front cockpit was identified as KF650 from its frame number "14-2441" when it was restored by Beech Restorations in May 2014. Its plate shows it was built in January 1944. KF650 was in a batch built by Noorduyn in Canada and delivered to the RAF between June 1944 and June 1945. It flew with 2 Flying Training School at Church Lawford, Warks in 1947 and 1948 before moving to 22 FTS. It was damaged beyond repair on 14 May 1954, when a wingtip hit the runway on landing at Syerston, it skidded and overturned. The cockpit is displayed at the Sywell Aviation Museum.